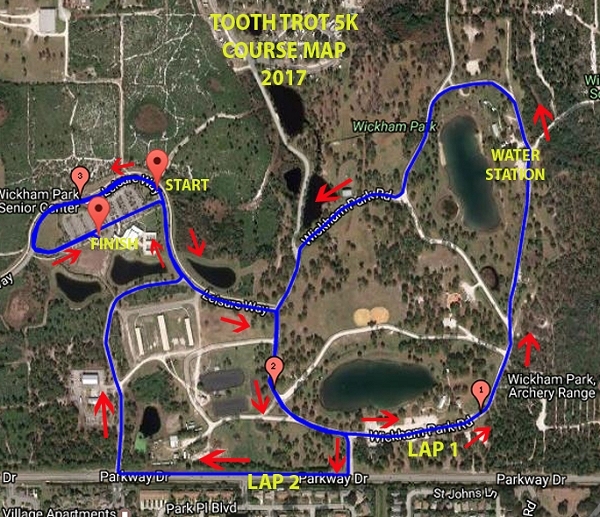 Give Kids a Smile provides free dental care to children in need within Brevard County, Florida. 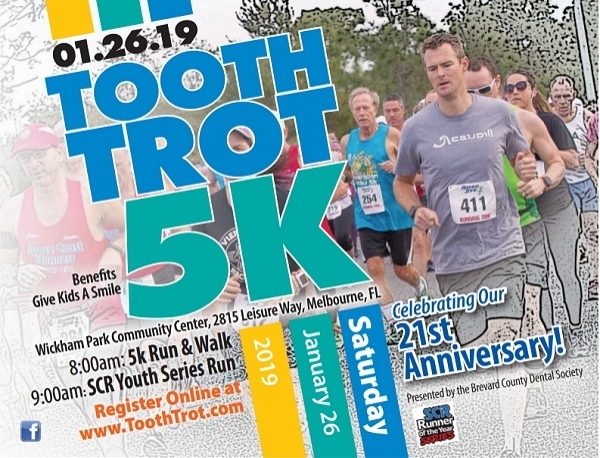 All dental care is provided free of charge by member dentists of the Brevard County Dental Society (BCDS). 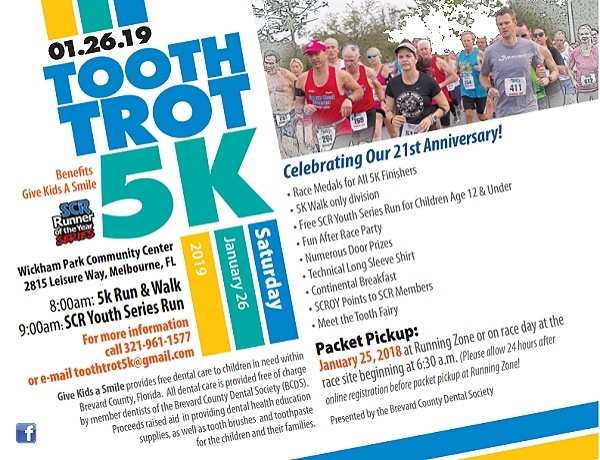 The proceeds raised by the Tooth Trot aids the BCDS to provide dental health education supplies, as well as tooth brushes and toothpaste, for the children and their families. Thank you. 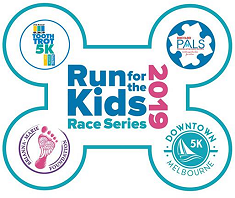 This year we are pleased to announce that the Tooth Trot is also part of the inaugural Run for the Kids race series.